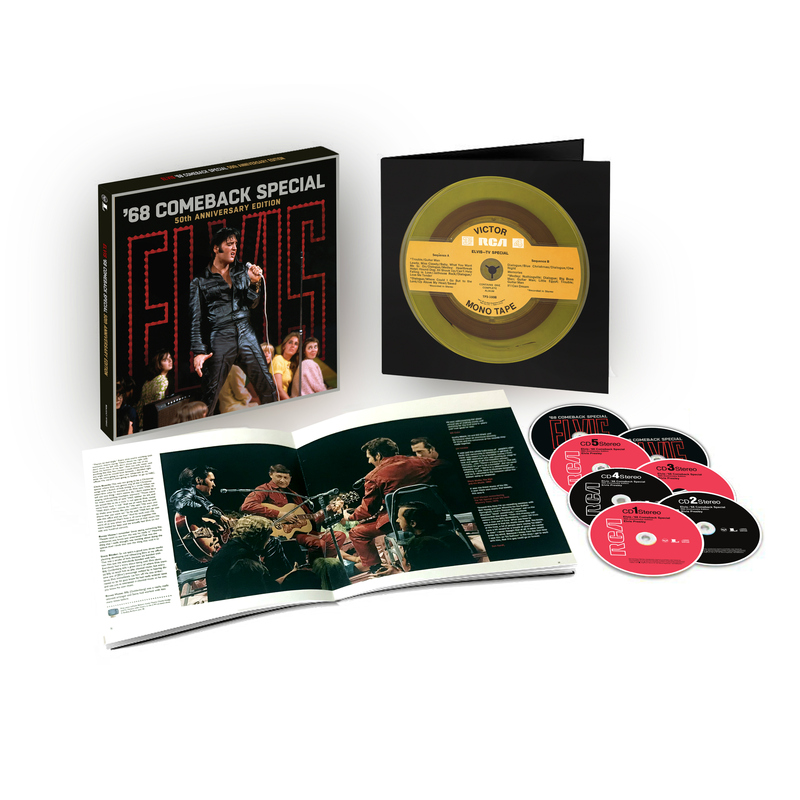 ’68 Comeback Special: 50th Anniversary Edition is the definitive chronicle of one of rock’s greatest performances, as done by one of rock’s greatest performers. In 1968, Elvis Presley was at a crossroads. Having brought rock and roll to mainstream audiences in the 1950s, Elvis’ output in the 1960s was characterized by a grueling schedule of recording and filming a string of low-budget motion pictures, often characterized by their formulaic structure and slipshod quality. With the arrival of The Beatles in America and The British Invasion on the pop charts, it seemed Elvis’ best days were behind him; even he was unsure if he could get his career back on track. Elvis was initially disgusted when his manager, Colonel Tom Parker, secured a deal for a Christmas-themed television special to air before in 1968. However, the special’s producer and director, Bob Finkel and Steve Binder (the latter had directed the acclaimed concert film T.A.M.I. Show in 1964), had other ideas: they believed this was an opportunity for Elvis to reclaim his audience and imprint upon a new generation, too—all under Presley’s creative control. The special, recorded over several sessions in June 1968, featured Elvis in his element: there were “stand-up” performances of new material—featuring Elvis clad in an instantly-memorable black leather suit—and loose “sit-down” performances of Elvis’ greatest hits and favorites, performed by Presley alongside Scotty Moore and DJ Fontana, the guitarist and drummer who’d played alongside Elvis on his earliest records and shows. When it aired on December 3, 1968, the special was the week’s highest-viewed television program, re-establishing Elvis as a driving force in popular music. The following year, he released the country-soul masterpiece From Elvis In Memphis, anchored by the chart-topping “Suspicious Minds”; that same year, Presley returned to live performance with a record-breaking engagement at The International Hotel in Las Vegas, kickstarting a regular run of live shows that lasted for the rest of his career. If you are an Elvis fan, it is a must have. It is terrific. As an Elvis fan, it’s touching to see products and paraphernalia that do justice to his life and legend. 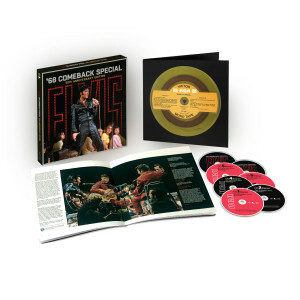 This Comeback Special is brilliantly curated, with HD colour photos and beyond clear audio and video disks. eyond this, shopelvis.com is THE place to purchase the Special because their shipping fees are much more readable than shopgraceland, and their discount codes offer better rates. This is outstanding. This performance on dvd is superb. I can even put the music on my phone. I am Elvis's distant relative so I absolutely love this. Would recommend for sure. It's so great that the 68 TV Special was remastered and put on Blu-ray in HD format, thanks for that, but please release the Blu-rays by themselves someday soon because not all fans can afford $149.98 to obtain the remastered videos. Thank you so much. I am so glad that they are releasing the 68 Comeback on Blu-ray and it is a long time coming. now the EPE need to release the Aloha From Hawaii next.